Everything lasts longer with proper maintenance. Whether you’re talking about changing the oil and replacing small parts on your car every now and again or cleaning your computer once in a while to prevent dust buildup, the good news is, maintenance usually isn’t too difficult, and one simple maintenance task can save you hundreds or even thousands in repairs. This is definitely true with your air conditioning system, which needs regular maintenance throughout its entire life for a longer lifespan and maximum cooling power and efficiency. Your AC is one of the most vital parts of your home, especially during scorching summers. Because it works so hard to keep your home at a comfortable temperature, there are a lot of things that can go wrong with it; and, so, it requires plenty of maintenance. If you don’t keep your air conditioner clean and make sure everything is working properly, a simple restriction in airflow could turn your AC into a heater. A lack of refrigerant could cause the same problem, and a refrigerant leak puts your health at risk. 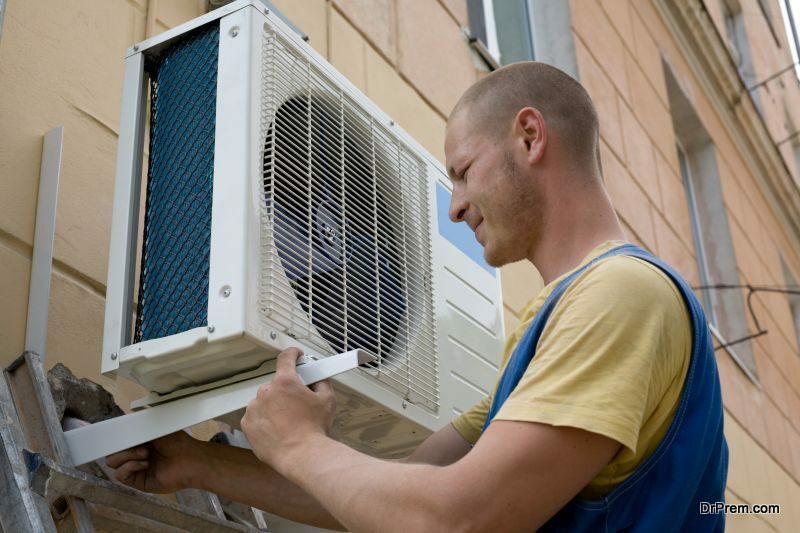 Every homeowner should schedule regular AC maintenance. 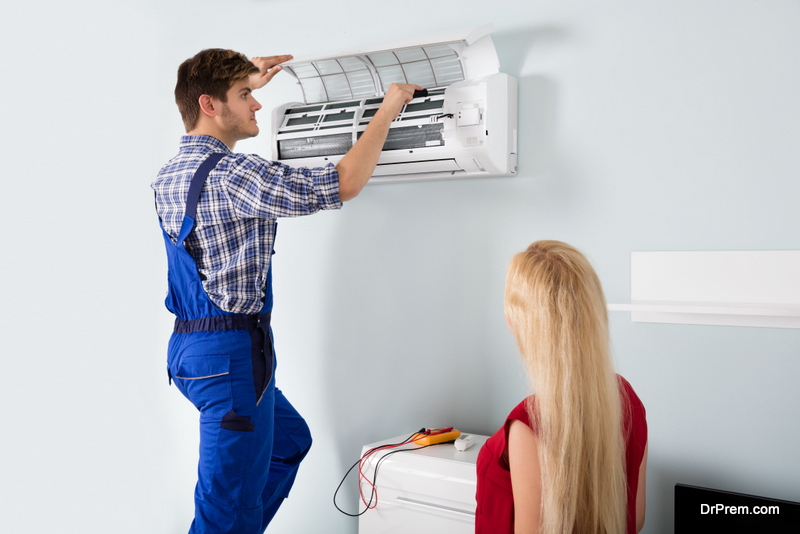 Not only does it help your air conditioner run better throughout the demanding summer months, it can save you on AC repair services. The first thing you should be doing to make sure your air conditioner runs smoothly with no airflow restrictions is to check and change the air filter regularly. This filter is responsible for removing contaminants from all of the air that’s sent into your home, so it gets dirty fast. If you have a disposable filter, you should replace it at least once every three months and check it monthly. Some filters are reusable, which case you can simply wash and dry before putting them back in the AC. Your air conditioning unit also needs to be cleaned because it spends so much time dealing with dirt and debris outside. You can take the fan cage off of the unit with a screwdriver, then simply clean all of the debris from inside of the unit. The fins should also be cleaned and combed if necessary. A fin cleaning spray will help you get your AC clean without too much trouble and prevent fins from bending. If there are bent fins, use a butter knife or fin straightening tool to fix them and restore proper airflow. Making sure your AC is level is also important. If it isn’t level, it may have premature problems. The one exception to this is if you have a heat pump, as they need to be slightly sloped to allow for water to run off. The final tasks are on the inside. You should clean the evaporator coil using no-rinse coil cleaner from a store, as well as clearing any plugs out of the evaporator drain using a wet/dry vac. 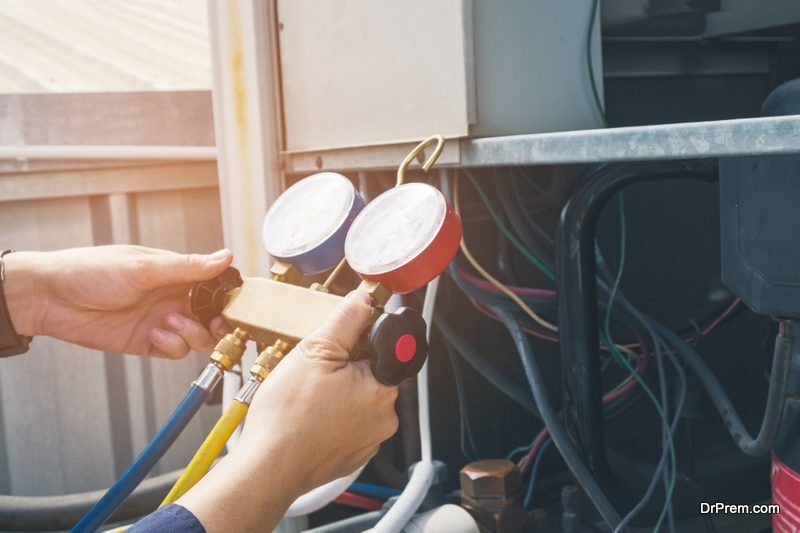 Once you’ve finished all of these tasks, you can restore power to your air conditioner and continue to use it regularly.